In this Oct. 13, 2015, file photo, Warren Buffett speaks onstage during Fortune's Most Powerful Women Summit - Day 2 at the Mandarin Oriental Hotel in Washington, DC. "In the years ahead, we hope to move much of our excess liquidity into businesses that Berkshire will permanently own." "We continue, nevertheless, to hope for an elephant-sized acquisition. Even at our ages of 88 and 95"
Despite a sour year in which Berkshire Hathaway posted a loss and was forced to write down $3 billion on its investments, Warren Buffett told shareholders that he wants to make a big acquisition. There is just one problem: Prices are too high. "In the years ahead, we hope to move much of our excess liquidity into businesses that Berkshire will permanently own. The immediate prospects for that, however, are not good: Prices are sky-high for businesses possessing decent long-term prospects," Buffett wrote in the letter released Saturday morning. "That disappointing reality means that 2019 will likely see us again expanding our holdings of marketable equities," Buffett added. "We continue, nevertheless, to hope for an elephant-sized acquisition. Even at our ages of 88 and 95 – I'm the young one – that prospect is what causes my heart and Charlie's to beat faster." He also said, however, that this was "not a market call," noting he did not know how stocks will actually behave this year. Buffett said Berkshire Hathaway had $112 billion in cash at the end of 2018, despite taking a beating on its investment in beleaguered consumer giant Kraft-Heinz. Investors were eager to find out what Buffett's plans were for Berkshire Hathaway's massive cash pile. In past years, Buffett has told investors he had not found anything to buy that wasn't overpriced. Meanwhile, Berkshire Hathaway has taken a massive stake in Apple over the past three years. The business giant has also added to is bank holdings and took new stakes in airlines. Buffett's annual letter comes days after Kraft Heinz, one of the company's biggest holdings, wrote down more than $15 billion on two of its most well-known brands: Oscar Meyer and Kraft. Kraft Heinz also trimmed its dividend and disclosed that the Securities and Exchange Commission is investigating its accounting practices. The news sent Kraft Heinz's stock down about 30 percent and slashed the value of Berkshire's stake in the company by more than $4 billion. It also led to Barclays analyst Jay Gelb to slash his earnings estimate on Berkshire in half. The analyst also said in a note to clients that Berkshire's quarterly numbers will likely be impacted by "substantial catastrophe losses for the global insurance industry" due to the wildfires in California last year and Hurricane Michael. Click here to review past letters. 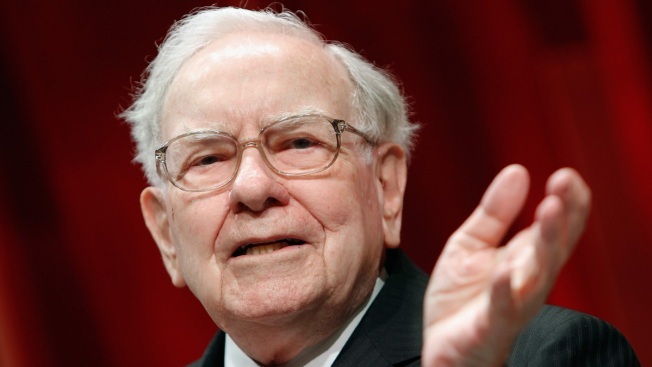 To review video of Berkshire's past annual meetings and other Buffett interviews go to CNBC's Warren Buffett Archive. —CNBC's Liz Moyer contributed to this report. What Warren Buffett's Berkshire Hathaway is buying and selling from CNBC.